The Church extends sincere congratulations to all of them and adds our thanks for their many years of often groundbreaking service in the development of the Cayman Islands and their communities, as well as to the Church. 2012/05 "Lord, do it Again!" This was the title the Moderator, the Rt. Rev. Oliver Daley, said he wished to give to his sermon for Cayman Convocation 2012, which was held at the Mary Miller Hall on Sunday 27th May. And it was a refrain he used effectively as he exhorted and encouraged the Church in Cayman to fit ourselves to make use of the blessing and power of the Pentecost, by letting the Holy Spirit equip us for ministry in these times, with the challenges of what he termed the “new normal”, where our society no longer necessarily accepts the Church’s teachings on many moral issues as the norm. Also participating in this year’s service was the Rev. Dr. Ofelia Ortega from our partner church the Presbyterian-Reformed Church in Cuba, who said she was uplifted by the service and the powerful and insightful sermon of Rev. Daley. A large group of students from one of the Church’s schools in Jamaica, St. Andrew Preparatory School, also ministered in song (pictured), music and dance. They had been in Cayman for a week, with their teachers from the Creative and Performing Arts Department and Principal, and had ministered in a number of schools. The Hall resounded with beautiful music, of varied styles, provided by our (growing!) band and United Choir. Deep appreciation was extended on behalf of the Church to Mr. Michael McGrath, the retiring Director of our Cayman Prep and High School, for his nine years of service in helping to lead the School from strength to strength, and the Moderator offered a special prayer for him. Join the Alpha Course and see for yourself! Whether you want to find out some more about what Christianity is all about so you can decide for yourself, or if you are already a Christian and just want to learn more about the God who simply loves and cares for you, Alpha is for All! 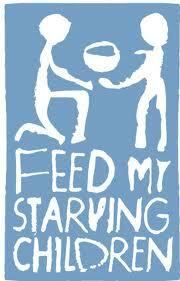 And it is convenient to attend - supper is provided so you do not have to cook! And you don't have to worry about a baby sitter for the evening - a supervised nursery/children's room is available! There is no charge. Come for a great evening, sharing a meal and laughter with friends, old or new; watch an interesting video by an entertaining and thought provoking presenter; then sit in on the small group discussions with others like yourself who have all got questions. Take some time to see for yourself if there really is more to life than this. 2012/04 Elmslie squeak by Bodden Town to hold top trophy! It was refreshing fun for all ages and we do need to thank Casandra, Vanda, Noel and the others of the Youth Leaders National Executive for a well organised meet, Director of Sports Mr. Collin Anglin and the taxpayers in general for the use of the Complex, the hardworking Officials for the day from without as well as within the YLNE/Church, our (mainly young) brothers and sisters who undertook the journey from Jamaica, and all the other competitors, helpers and supporters. 2012/02 Mrs. Casandra Morris one of the YCLA Finalists for 2012. Congratulations to Mrs. Casandra Morris, a Youth Leader in the John Gray Memorial Church, who has been selected as a finalist for this year’s Young Caymanian Leadership Award. Casandra is also the current Chair of the Council’s Youth Ministry Enrichment and Leadership National Executive, which is the body tasked with guiding the Church’s Youth Ministry in Grand Cayman and with implementing national activities and programmes, such as the Sports Day, Youth Expos, Camps Ministry, etc., in all of which she has been a dedicated, creative, enthusiastic and key leader for a number of years. We wish Casandra all the best leading up to the final choice of this year’s YCLA recipient. 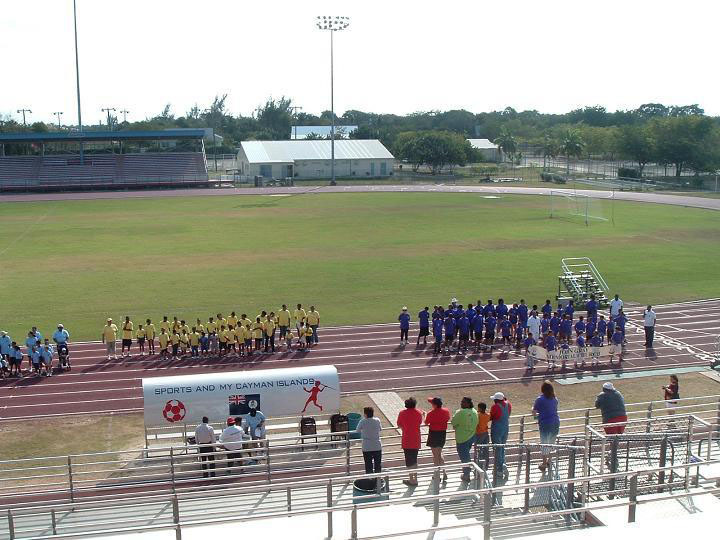 2012/02 Cayman Prep Robotics Team Heads to Regional Finals. Congratulations to the “Cyber Rays”, as the students of the high school Robotics Team at Cayman Prep and High School have dubbed themselves, and to their teacher, Ms. Allison Smith, on their recent performances in the First Lego League robotics competition in Florida! There they won Best Robot Performance and second overall in the competition. Well done! As a result of this success, they are off now to the Regional Finals in Tampa on 4th February. Go to CITN Cayman 27 for more info and a glimpse of the students Imagineering and engineering skills. Students of the Cayman Prep and High School have been finding ways again this year to stretch some of their money in order to share with others in the community. The primary school has been collecting gifts for specific children across the Islands who were nominated by the Department of Children and Family Servcies, to ensure those children do receive some presents at Christmas, and through ARK (Acts of Random Kindness). While at the high school, the Student Council there took the initiative this year to turn their giving into a competition between classes and together donated a total of CI$4,200! They have given this money to the United Church to distribute to families in need, through the Church's congregations across Cayman. The Church has expressed its deep appreciation to the students, and the staff and parents, for this generous act of giving in the spirit of Christmas, as God gave to us. The Church noted that most of its congregations have experienced increased demand in the past year on its community pantries and other ministries for assisting in the communities, as a result of the worldwide economic difficulties. So this extra help will indeed allow some families and individuals across Grand Cayman to experience an extra blessing this Christmas, as they witness the caring love of Jesus Christ manifested in this way. 2011/12 “Greetings, you who are highly favoured!" "I believe that this is just what God is saying to us today: Do not be afraid (my people) you have found favour with me." Rev. Harry Bodden reflects on the Gift of Chirstmas and the power in those words from God with which the Angel reassured Mary. Click here to read his Christmas message to us all. 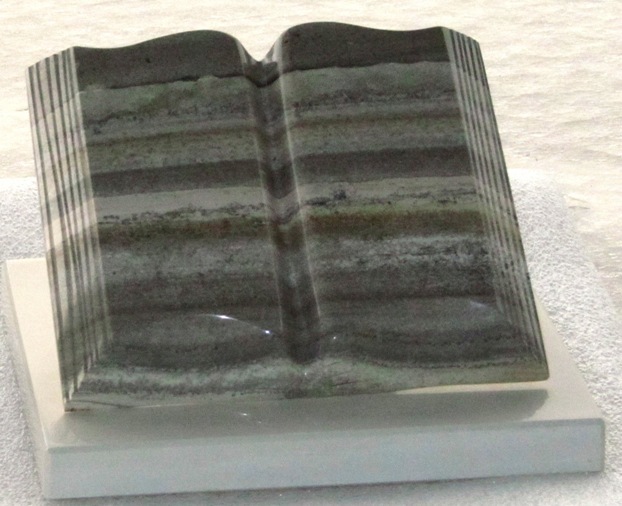 2011/12 Rev. Tara Tyme elected Chair of Council. At a special meeting of Council held on 6th December the Chairperson and Vice-Chairs for the new three-year period beginning 1st January 2012 were elected. In addition to Rev. Tyme as Chair, the Reverends Forrester, Hazle, and Myers and Lay Pastors John Macmillan and Ormond Williams were elected to fill the five Vice-Chair positions. Rev. Tyme has served in the past as Vice-Chair and Acting Chairperson for a considerable time of the former South Middlesex Council in Jamaica and is currently Vice-Chair for Schools and institutions for our Council. 2011/12 Let your Christmas gifts Double the Joy! Give a gift of love and hope this Christmas that will bring joy to someone on your gift list – plus another,.. To find out more, click here. 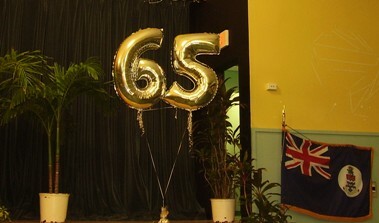 Girls Brigade Celebrate 65 Years in Cayman, Founder’s 90th Birthday. 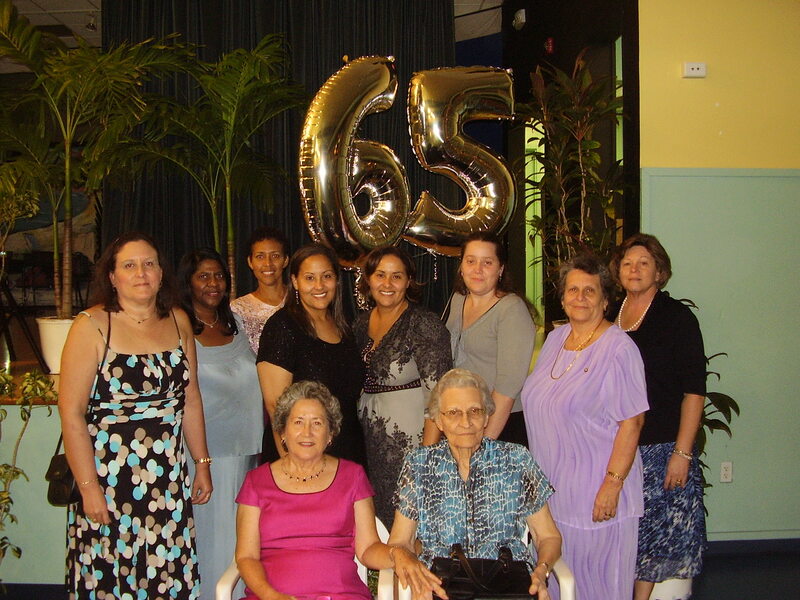 The Girls Brigade, an interdenominational organization which in Cayman is under the auspices of the United Church in Jamaica and the Cayman Islands, celebrated 65 years of empowering Girls, teaching them to Seek, Serve and Follow Christ, and turning them into dedicated leaders within the Brigade, the Church and the wider community, at a special dinner on 5th November 2011. Guest of (special) Honour was Mrs. Olive Miller, MBE, JP, who founded the Brigade in Cayman (then the Girls Guildry) in 1946, shortly after arriving in Cayman as a missionary to the Presbyterian Church (as the United Church was then known in Cayman). Mrs. Miller is still very active with the Girls Brigade in Cayman and has served as International Vice-President and International Patron to GB worldwide. She entertained everyone present with some of her reminisces of her time in the Brigade, including stories of leading a number of the ladies present at the event on trips to foreign gatherings of GB when they were Girls Brigaders. Coincidentally, Mrs. Miller was to celebrate her 90th birthday the following week, on 9th November, and she was also honoured and congratulated by the gathering on that milestone. Many people subsequently thanked Mrs. Miller for the impact she had on their personal lives as well her service to the Church and the Cayman Islands through Girls Brigade, teaching at the Cayman Prep and High School, another mission of the Church with which she was involved in its early days, as a Pink Lady, NCVO stalwart, and in so many other roles! In fact, on her birthday the next week, students representing various classes of the Cayman Prep and High School (in which she continues to keep a keen interest) visited her and she also received beautifully decorated handmade cards from the little children of the NCVO’s pre-school. The United Church takes this opportunity to add our deep gratitude for the magnificent role that Mrs. Miller has served and continues to serve in our Church - a tremendous example of a disciple of Christ who selflessly shares His love and His Gospel with everyone, whether in Cayman, in our Children’s Homes in Jamaica, in Haiti or beyond. 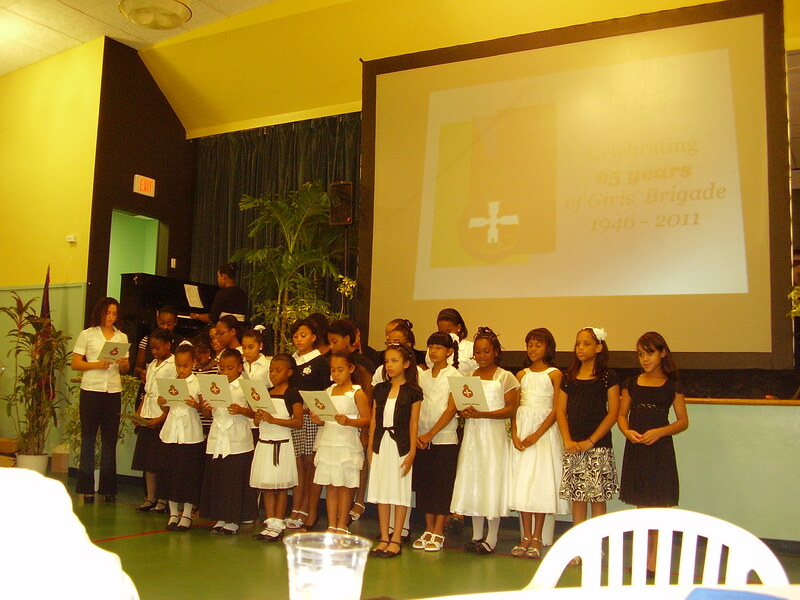 The newly formed Girls Brigade Cayman Choir also entertained everyone at the dinner on 5th November with a beautiful song, written by no other than Mrs. Olive Miller! Mrs. Ethel Farrington was also recognized as the last of the original leaders of the first company of the Girls Brigade in West Bay when it was formed in 1946. Here (above right) she is seen with other leaders, past and present, of the GB Company in that District. 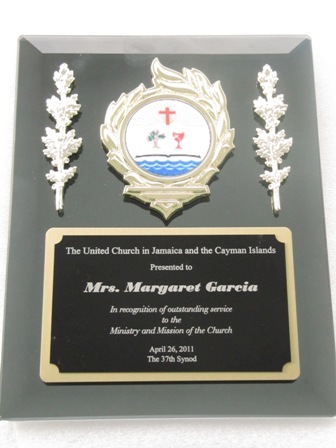 Ms. Debra McLaughlin, the current Chair of GB in Cayman, also presented gifts of appreciation to other current Officers and to a number of others who serve GB in Cayman, including the Ministers of our Congregations. 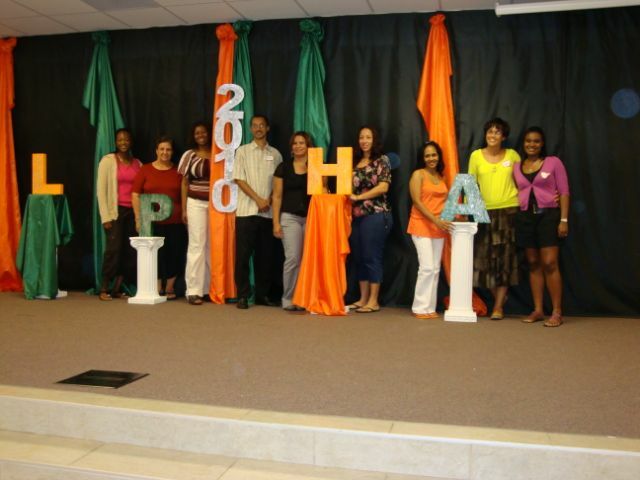 2011/11 First Global Alpha Training event held in Cayman. Alpha is a low-pressure, fun and informative course. It is a place to relax, share your thoughts and explore the meaning of life. The course is designed primarily for people who don't go to church, but are interested in the Christian faith. The Alpha course began in the late 1970s at Holy Trinity Church, Brompton, in the UK, as a means of helping new Christians learn more about the Christian faith. In 1990, former barrister the Rev. Nicky Gumbel realised the potential of the Alpha course to appeal to a wider audience, and adapted the course to make it inclusive for anyone interested in the Christian faith. The Alpha course spread during the 1990s, initially in the UK and then internationally, as more and more churches and groups found it a helpful and informal way to discuss questions about the Christian faith. There are now over 55,000 courses worldwide in 166 countries. Alpha is supported by all the major denominations. Over 16 million people worldwide have now attended an Alpha course! The United Church will continue to offer various Alpha courses in its congregations and a number of other Denominations are expected to start or re-start Alpha courses shortly also as a result of the training. Keep your eyes and ears open for news of an upcoming Alpha course – and invite a friend come and see! The local television station Cayman 27 interviewed the Rev. Graham Singh and Mrs. Jennifer Dilbert, one of the local organisers of the Global Alpha Training event in Cayman, and you can learn more about Alpha and the weekend in Cayman by going to the segment on Cayman 27 (click here). run an Alpha course in your context. Take advantage of this being held in Cayman for the first time! 2011/09 "Record Breaking Results At Cayman Prep & High School" - The Cayman Prep and High School has announced that 95% of the 2011 Year 11 students achieved the recognised measure of success in gaining five or more of the higher passes at grades A*– C in the GCSE/IGCSE examinations. The School states that, "In fact, 92% of these students gained 7 or more A*– C passes, with the 22 top-ranking students gaining 10 or 11 subject passes at these higher grades." The United Church, which owns and operates the School, has congratulated and commended all the students on their diligence and their outstanding IGCSE and GCSE Results. The message from the Church added that, "We thank God for His grace toward you and pray that you will continue to look to Him for nurture and guidance and commit yourselves to His leadership and Lordship. We also extend a big Thank You to the Management, Teachers and other Staff of the School for all your dedication to enhancing the lives of the students entrusted to your expertise and care. With your 100% pass rate and over 90% of the passes at the top grades of A* - C, we say to students and staff alike, Well Done!" Click here to see the School's press release. 2011/08 “Becoming a Contagious Christian” returns to the Church after a gap of a few years, with Elmslie Memorial United Church offering the training programme in its new format starting September 4th. As some readers will recall, this is the popular evangelistic training programme developed as part of the “Building the Contagious Church” series by Bill Hybels and his team at the Willow Creek Community Church. As Rev. Dr. Dave Hazle of Elmslie explains: “It is designed to train each of us to talk about Jesus in a way that fits our personality. But why is this so important? This news about Jesus is not a private affair but news that God wants the whole world to know. The problem is that this life-saving act of God [through Jesus] is not automatically applied to human beings. Each person has to believe it and receive it for him or herself. God in his wisdom has chosen human agents to be the main means by which this information gets around.” For more information on joining the programme, please call Elmslie at 949-7923. Elmslie Memorial United Church writes in its latest newsletter that: with the encouragement of Mrs. Olive Miller and the help of Mr. Joe Bernard and students at the Cayman Prep and High, ten boxes of goods and supplies were collected and sent to the Mount Olivet Boys’ Home at the end of July. Special appreciation is expressed to Mr. Roy McGregor and Mr. Omar Lewis, two young men originally from the Home, who transported the boxes from Cayman to Mount Olivet. 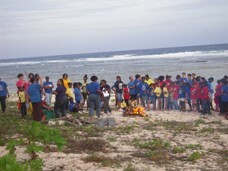 2001/08 (Click for Pictures) Camps 2011 declared a “resounding success”! And the Church is deeply grateful to the Leaders, the Chaplains and the many other volunteers, including two young men form the Church in Jamaica, who assisted in teaching, supervision and so many other ways. This year’s Coordinator for both Camps, Mrs. Casandra Morris, reported that: “Our camps main goals and objectives were: Helping young people and children become aware of God’s seeking love as shown especially in Jesus Christ and respond in faith and love; Bringing lives to Christ through commitments or re-commitments; Encouraging young people in their faith and growth in the ministry; Developing a programme that was fun filled, with spiritual activities including praise and worship, bible time, outings, discussions, creative activities and sports; Integrating a music programme with positive role model leadership that encouraged the kids to praise God at all times with positive Christian music. The 2011 Camp Ministry theme was “Praise Party: Worshiping God with Head, Heart, Hands, Feet and Soul”. Our main Bible verse “Let the word of Christ dwell in you richly...and with gratitude in your hearts sing psalms, hymns, and spiritual songs to GOD. (Colossians 3:16). Out of the 27 campers that attended Teens Camp, 19 campers committed or recommitted their lives to Christ. For Children’s Camp 25 campers out of 38 committed or recommitted their lives." “One of the most difficult situations is trying to help a family member with addiction. It can be a confusing and even dangerous at times. The life of someone we love is wasting away unless something is done. Since our addicted loved one isn't doing any-thing, we naturally feel the need to bail them out. This is a recipe for disaster with most addicts. 2011/6 New Cayman Prep and High School Graduates get tried and trusted formula from an original! But certainly a highlight of the evening was the keynote speech by Mrs. Olive Miller, MBE, JP, who was one of the original teachers of the School, when it opened in 1949 (as the Cayman High School, with a Preparatory Department). Mrs. Miller is still very active in the Church, where she is something of a living icon of the Christian life and a passion for mission without boundaries. She encouraged the Graduates to remember and strive for four S’s – Salvation, self-discipline, stickability (which she preferred to “perseverance”!) and selflessness. She clearly demonstrated how they were interrelated, and bound together by Jesus Christ – and pointedly encouraged them in song to “Put Your Hand in the Hand of the Man from Galilee”! On completion of her very moving and often humorous speech, punctuated by examples of her own experiences, she received a standing ovation from a grateful audience. Thank you Mrs. Miller for being such a blessing and example to us, for generations. The HOPE programme was officially launched at a service at the Church on Sunday 26th June, during which the Minster for Community Affairs, Gender and Housing, Hon. Mike Adam, brought greetings and commended the Congregation on this initiative. The Scripture texts were read by Hon. Rolston Anglin, Minister for Education, Training and Employment, and Hon. Mark Scotland, Minister for Health, Environment, Youth, Sports and Culture. 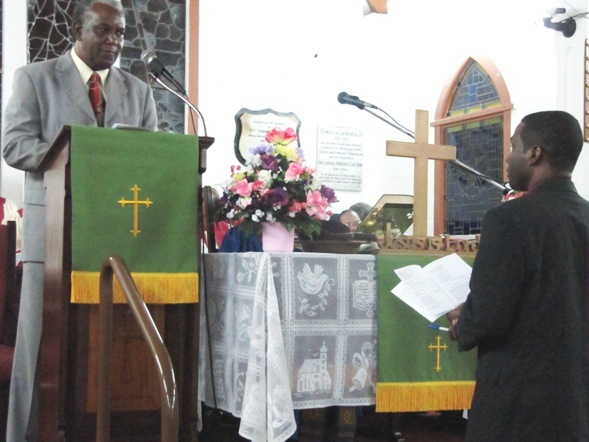 The Cayman Islands Regional Mission Council of the United Church also participated in the service and commended the Minister and Congregation. but had received his plaque at the Synod in April, which Mrs. Garcia had been unable to attend. 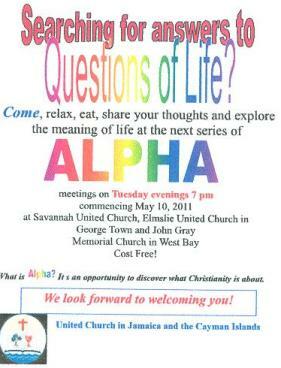 2011/4 - The next Alpha Course will start on 10th May 2011 at the Savannah, Elmslie and John Gray Memorial United Churches, each Tuesday evening at 7 pm. See full size flyer here. 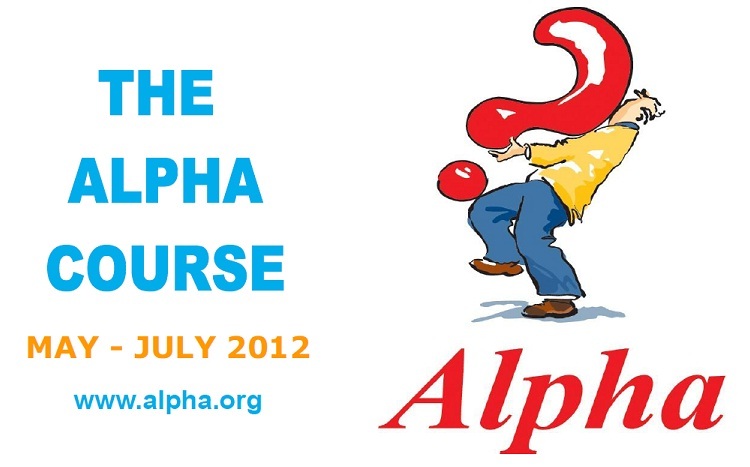 For a report on last year's Alpha courses, please click here. Take a fresh look at Christianity! 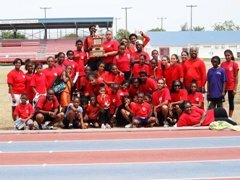 2011/4 - Cayman Prep’s Year 6 Primary Class won the 2011 Disney’s Planet Challenge, a yearly program aimed at inspiring students to be good stewards of the environment and empowering them to make a difference. It is sponsored through a relationship with Disney Cruise Line and the Cayman Islands Department of Tourism, Department of Education and Department of the Environment. Disney noted that “The young environmental champions were honored aboard the Disney Magic cruise ship in Grand Cayman last week for their class project focused on protecting the threatened swallowtail butterfly, an endemic species found only in the Cayman Islands.” Click here for Disney’s statement and video of the children aboard the ship, where they were also lauded by Disney and the Government (and some cruise passengers). 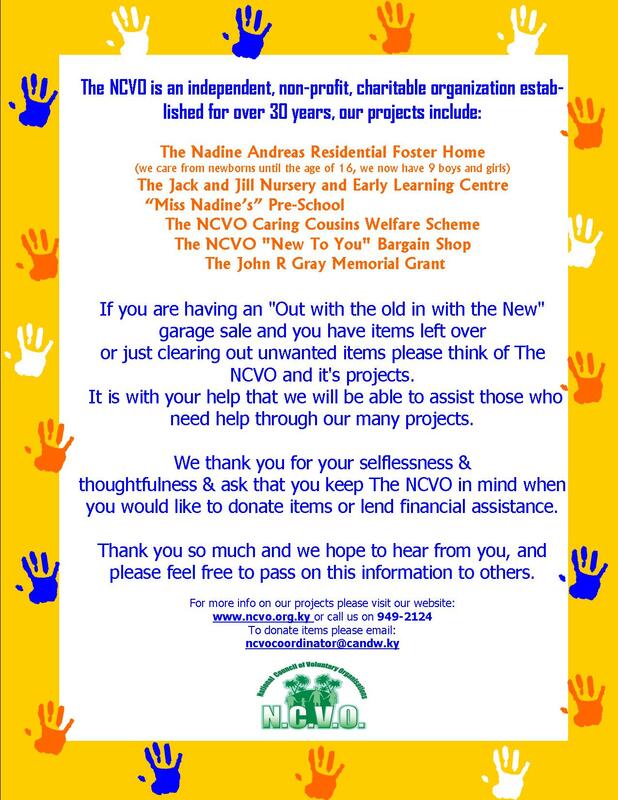 2011/4 Help the NCVO do their good deeds. Please see their "Out with the Old, In with the New" appeal here, and help them wherever possible. 2011/4 - Superb Saturday for Girls Brigade at Camp FISH! Over 100 Girls Brigaders of all ages and from all over the Island gathered at the Prospect Youth Centre on Saturday 26th March under the leadership of the GB Officers for a tremendous day of fun, devotions, learning (lots! ), exploration, other activities – and food! It was a very full day – and it was reported that a week later some of the Leaders were still recovering! Local band ‘Swanky’ not only had the Girls dancing to the quadrille and other old-time Cayman music but even let them help play their fiddles and drums! Click here for more pictures and information. 2011/3 - The Ash Wednesday Prayer Summit was a moving and renewing experience for partcipants again this year. As in most years, some people were heard to remark that they do not know why more of our members do not take part, as it is such a refreshing time of prayer, worship and fellowship in the peaceful and scenic seaside location of Prospect! As the gallery of pictures attached will show, at the appointed starting time of 7:30am the numbers were still small and some dark clouds had gathered! In fact, right about then the rain started, forcing us to move indoors! It is always so beautiful to start outside by the sea in the early morning (as the above picture from another year demonstrates). But this move did not dampen spirits, and soon the hall of the Prospect Youth Centre was resounding with another manifestation of the beauty of God's creation - music and the singing of about 70 voices, led by Mr. Noel Wallace on the keyboard! This year's focus was "Christ - the Source of Healing and Hope", with the meditation led by Rev. Rohan Forrester. 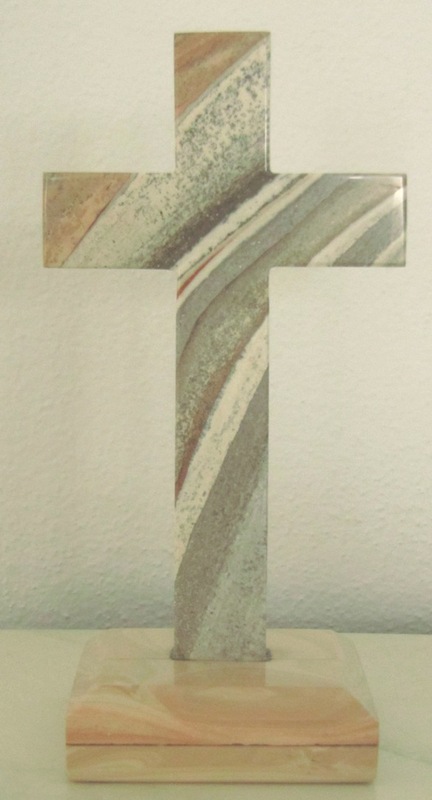 The small group prayers centred on the five Synod priorities for 2011, for example on the "Ministry to Children", the concern to prod us was listed as "How do we ensure all our children enjoy, embrace and are empowered by the hope and healing of Christ?" A special blessing this year was to have our sister Joan Paige Bain and her husband Allemand and daughter Jirene worshipping and praying with us. Joan has been our Church's missionary nurse in Haiti for many years. 2011/03 The United Church Youth Leaders National Executive hosted the 1st Annual Youthquake at the John Gray Memorial Church Hall in West Bay on 12th February 2011. See story here. The young people delighted the audience - and at times made us cry with some poignant pieces. Click here to see some pictures from the afternoon! 2011/3 Minimum Wage Law promised in Legislative Assembly - Following a motion in the Legislative Assembly by Mr. Ezzard Miller (Independent - North Side) to insert a minimum hourly wage amount in the Labour Law, the Government has said it is not against a minimum wage and will be introducing legislation for this shortly. (Mr. Miller's motion did not proceed.) The United Church Cayman Islands Council has proposed previoulsy that "living wage" legislation be enacted in the Cayman Islands to protect the most vulnerable members of our workforce and those with the weakest bargaining power in regard to salaries and wages. It has made the distinction between "living wage" protection and a "minimum wage" - click here to see the proposal presented to the Government in February 2007. Since the discussion in the LA, the John Gray Memorial Church's Young Adults Action Movement has started to look into this more deeply and one of the sources of information they have noted for review, from Wikipedia, provides some useful information on minimum wages in 197 countriies and the diffeent approaches taken in some of these - click here for link. 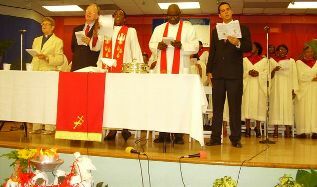 2011/03 International Ecumenical Peace Convocation to be held May 17-25, 2011, in Kingston, Jamaica. On the eve of this Convocation, which is being hosted by The World Council of Churches ("WCC"), the Caribbean Conference of Churches, and the Jamaica Council of Churches, the WCC has launched a study guide (click here to download) to help individuals and churches to continue to reflect and act together after the drawing to a close of the 2001-2010 Decade to Overcome Violence – Churches Seeking Reconciliation and Peace. World Day of Prayer will be celebrated in our Churches in East End, Bodden Town and West Bay on 4th March. All are invited to this important event in the world body of Christians, under the theme this year of, PRAYER CAN MULTIPLY THE LOAVES. Mark 6:30-44. The organisers point out that "This first Friday of March is always an exciting day as a great wave of prayer sweeps the world, beginning when the first service is held in Tonga and continuing around the world until the final service takes place, some 35 hours later, in neighbouring Western Samoa. 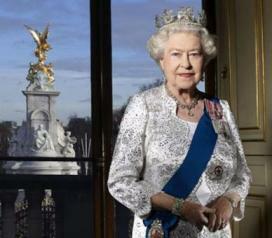 By then the day will have been celebrated in over 170 countries." Be a part of this great event! See further details, including information on the women of Chile, who led this year's prepartaions, here. 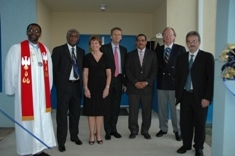 New Cayman Prep Building Dedicated. 2011/1 - Cayman Prep and High School Students top the world in the Cambridge International AS Level Marine Science Examinations! 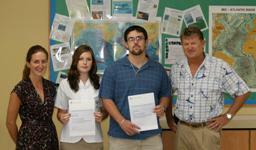 Two students from Cayman Prep and High School, Cody Panton and Kalyn Teeling, have been awarded a special certificate from the University of Cambridge International Examination Board stating that they gained the highest mark in the world in the Cambridge International AS Level Marine Science Examinations in June 2010!! Click here for full story and comparison on overall global results. See also the School's release on the students being presented with awards by world renown marine scientist and artist Dr. Guy Harvey. 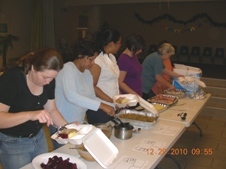 2010/12 - John Gray Memorial United Church "Sharing God's Love" with their Community Christmas Dinner. As it has been doing every Christmas for many years now, the congregation cooked and distributed meals of turkey and ham 'with all the trimmings' to senior citizens and families in the community who, for whatever reason, might not have been able to have a "Christmas diinner" on their own this year. 191 meals were distributed this Christmas (as well as additional dishes to the Golden Age Home in West Bay). This 'tradition' was the initiative of one family in the Congregation who continues to donate - anonymously - all the food, which is then cooked by various persons in the Congregation then served and delivered around West Bay. Congregants of all ages, including children, participate in this ministry, and report great camaraderie and enjoyment. 2010/12 - Whole Church called to start the year with a "Time of Healing and Renewal ... a season of prayer and fasting for the Nations and the Church" January 1st - 11th 2011 - Go to "Calendar" page for details, with daily devotionals, etc. 2010/12 Let your Christmas gifts Double the Joy! To find out more, click here. 2010/12 'Au Revoir to Rev. Dr. Colin Cowan, a ‘favourite son’ of the Church. Click here for further details. 2010/12 “So, if you are a Christian, may I invite you to wear your faith with pride this Christmas?” This challenge and invitation by Lord Carey, former Archbishop of Canterbury is in a special leaflet entitled 'I'm Not Ashamed'”, which has critical relevance to the Cayman of 2010 as well – and so does the whole “Not Ashamed” campaign.Click here for the whole leaflet and access to their website, where you can also hear, and purchase from i-tunes, the song 'We are Not Ashamed'. Major UK newspapers have also endorsed the campaign. 2010/12 - The first ever Governor's Award for Design & Construction Excellence has been awarded to Elmslie Memorial United Church sanctuary, a historic landmark in Grand Cayman, which has won jointly with Camana Bay Town Centre. Many Caymanians of all ages, both within and outside of the United Church membership, will no doubt agree with this choice by the panel, as the sense of strength and solidity (and of the dedication of its builders and designers) that the Elmslie building conveys has long been widely recognised and admired in the Island. 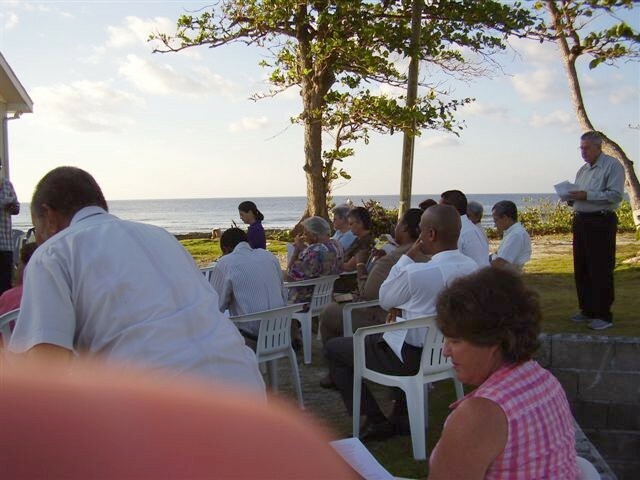 2010/11 CWM Trustees and Officers meet in Cayman, make "historic decision" - see further details and pictures here. 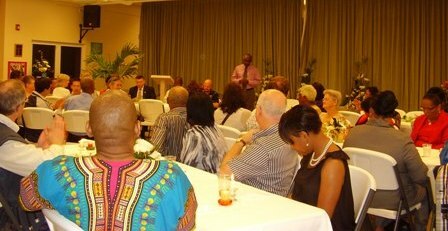 At a reception hosted by the United Church's Cayman Islands Council and its John Gray Memorial Church, the visitors were warmly welcomed by the Premier of the Cayman Islands, Hon. 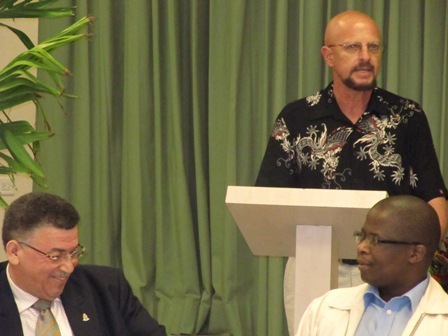 McKeeva Bush, OBE, JP, and the Chair of Council, Mr. McFarlane Conolly (pictured here addressing the gathering). In the other picture, remarks by CWM General Secrtary, Rev. Dr. Des van der Water, drew a chuckle from the Premier and Rev. Dr. Prince Dibeela, Moderator of CWM. 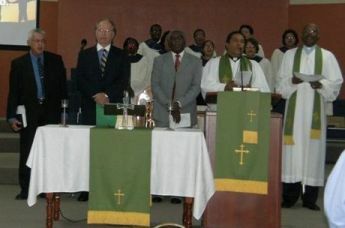 2010/11 - United Church names new General Secretary and Moderator. With the second (and therefore final constitutionally allowed) term of the Rt. Rev. Henly Bernard as Moderator coming to an end at Synod 2011 (April 25th - 28th 2011), voting for the new Moderator has been completed within the time prescribed in our Constitution, and Rev. Oliver Daley declared Moderator-elect. General Secretary, Rev. Dr. Collin Cowan, noted that Rev. Daley’s devotion to the Church, commitment to its growth and development, his clarity of purpose and concern for the well being of the whole people of God, as well as gifts as an inspirational leader, preacher and teacher, rendered him a most suitable leader for the Church, where he is already known as “a pastor par excellence to all our Ministers”. The search for the new General Secretary to replace the Rev. Dr. Cowan (see earlier article below) has also been completed, resulting in the unanimous call of the Rev. Norbert Stephens (currently a Regional Deputy General Secretary) to be our next General Secretary. See additional details here. 2010/11 - Ms. Jodiann Jackson, of the Savannah United Church, is featured in the November Newsletter of the Water Authority - Cayman, as she was heading off to pursue a Bachelor's Degree in Environmental Engineering. In addition to all her activities at Savannah, Jodiann has been very active for a long time in the Cayman Council's Youth Leadership National Executive, starting first as a youth adviser when she was a much younger child! The story got even better, though, for when the Water Authority sent their full press release to be used in our Website, it also carried similar news about another young lady from Savannah United, Ms. Sabrina Douglas! Click here to read the WAC's press release on both young ladies and their exemplary accomplishments. The United Church Council joins in extending hearty congratulations to Sabrina and Jodiann, and in wishing them God's continued blessings and every success as they continue working hard to realise their aspirations. We also commend the Water Authority for their support of Cayman's young people through their scholarship programme, contributions to the United World College National Foundation (also reported in their November Newsletter), work experience and other job opportunities. 2010/11 - Haiti still needs our prayers and our material support as they continue to struggle with the needs of the homeless from the earthquake (exacerbated now by the outbreak of cholera and the affects of the hurricane season) and the other challenges of the people there. The United Church's appeal (see report) for donations remains open for this purpose. Click here to read a report by the group who went on a misison trip in August (and see photos of their work). 15 million people around the world have now participated in an Alpha course - join us to take a fresh look at Christianity. 'Nativity' to come alive on Twitter - for Twitter and Facebook fans see CWM article link below on new way to experience the Nativity story.